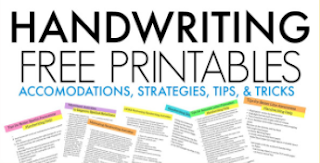 If you need a quick and easy little activity for the kids while you are making dinner, or just something fun for the kids to keep practice a few fine motor skills, then this is a great activity for you. Simple to set up and easy to clean up, this one will get those little muscles going and moving with fine motor dexterity! This activity works on several grasps, color awareness, counting, sorting, visual scanning, and eye-hand-coordination. 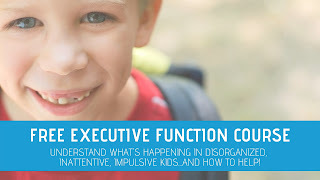 How can you beat such an easy activity with so many benefits?? 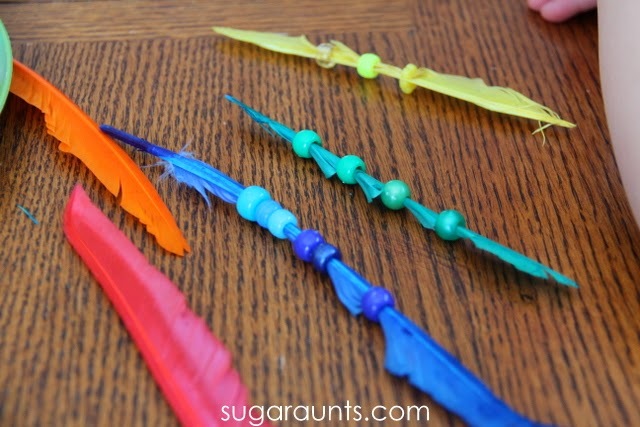 Get your feathers and some coordinating beads and lay them out on the table. I started a few fetaters to show the kids what we were doing and had the invitation to start ready to go. They came over to check it out and would bead a bit here and there throughout the day. It was kind of like a therapeutic little break from bouncing off of couch cushions and each other. Their little bodies needed a chance to slow down and re-group before getting back into the routine of regularly scheduled chaos. But maybe that's just my kids? 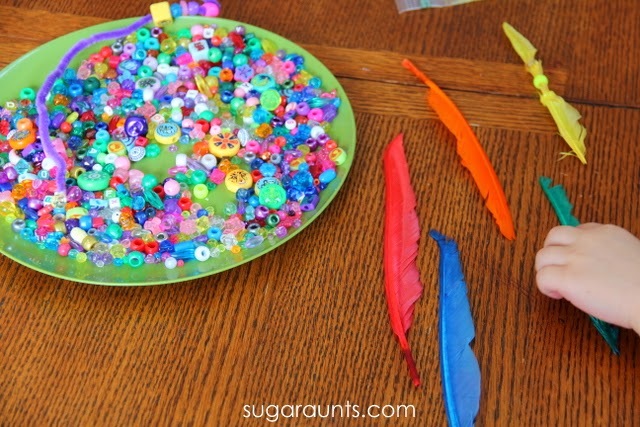 You could also put out a big old tray of all kinds of beads with different colors, shapes, sizes to work with. 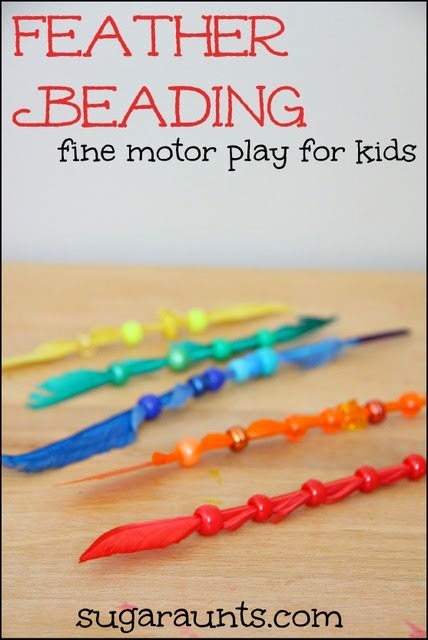 This slightly makes the activity just a little more difficult as the child has to visually scan for the colors needed and pick out the beads that they want with a neat pincer grasp. 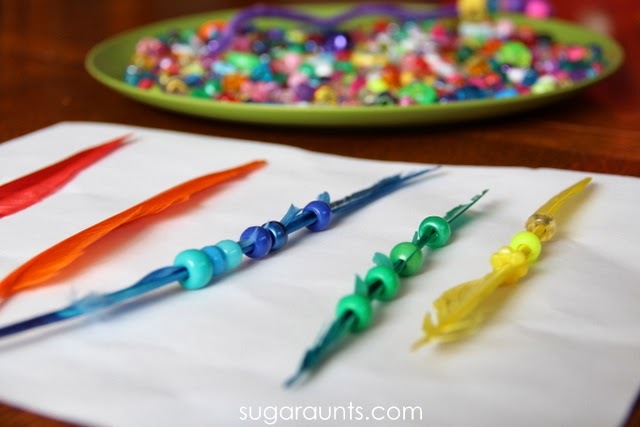 Using the tips of the index finger and the thumb in a precision grasp to manipulate beads from a big tray of colors is great for eye-hand coordination. Want more ideas to work on neat pincer grasp or eye hand coordination? We've got plenty! 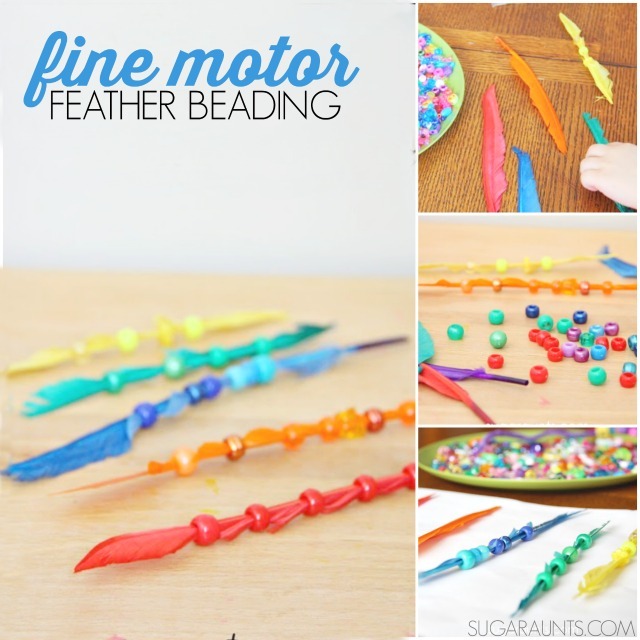 Holding the feather and the beads requires two hands to work together in a coordinated way (bilateral hand coordination). 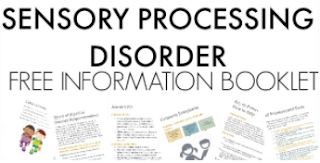 This is a great way to practice pre-writing skills and those requirements needed for self- care like managing buttons, zippers, shoe-tying, and scissor skills. Younger children (Baby Girl is just getting this!) 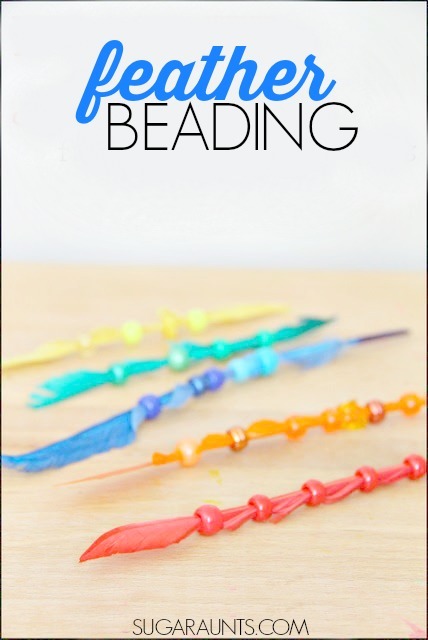 can learn colors and practice naming colors as they pick out the beads and match to the color of the feather. 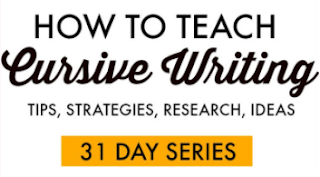 How many other ways can you think of to make this a learning opportunity? Patterns, sorting, counting...this is a fun learning op and a great way to get those little hands moving! 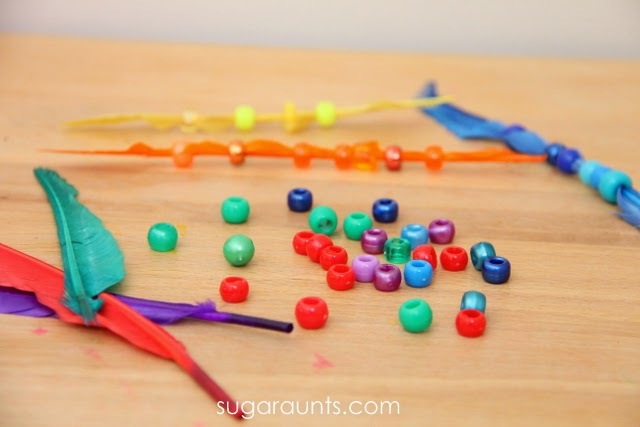 Follow Sugar Aunt's board fine motor play on Pinterest.